Wisdom teeth usually begin to develop and show on x-rays in our early teens. And that’s the best time to start monitoring their growth to see if your wisdom teeth can stay, or if it’s better to get them removed. 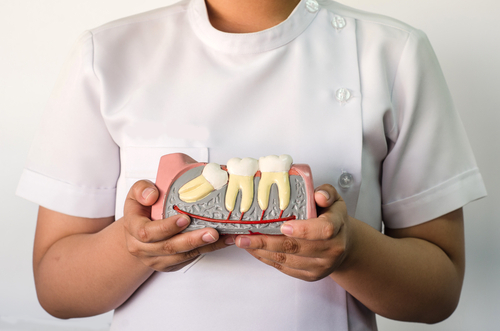 While all wisdom teeth don’t necessarily have to be extracted, all of us at our dental office in West Caldwell want our patients to know that if wisdom teeth removal is recommended, it’s for a good reason. Even if your wisdom teeth came in without a hitch, you may not necessarily get to keep them. In fact, one of the main reasons wisdom teeth need to come out is that they are difficult to care for. Your wisdom teeth, the four molars in the back of your mouth, are hard to reach with a toothbrush, and even harder to floss. This tends to increase the likelihood of gum disease and cavities. If any issues are noticed during your routine checkups with your West Caldwell dentist, removal may be recommended to reduce the risk of more cavities and infection later. Keeping up with your regularly scheduled appointments at our West Caldwell dental office is an important step in monitoring your wisdom teeth and making sure that everything in your mouth is healthy, functioning correctly, and looking great. 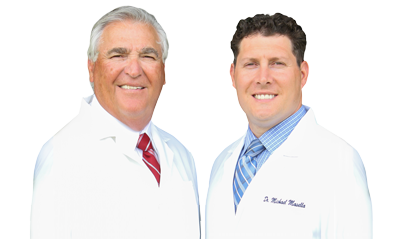 If you need someone to check out your wisdom teeth, or your smile as a whole, give us a call today. Serving patients in West Caldwell, Fairfield, Roseland and beyond.